SNAFU! : All is not well with the F-35...Lockheed's mouthpiece is nervous! All is not well with the F-35...Lockheed's mouthpiece is nervous! When Lockheed Martin's favorite mouthpiece starts warning about cuts in the number of F-35's the USAF is buying and also starts spouting an almost impossible ramp up in manufacturing then you know something is brewing in F-35 land! Which brings me to an unsettling reality. Because the Air Force version accounts for 72% of the joint buy, and because its "A" variant is the one that most allies want, investment choices that Air Force leaders make over the next dozen or so years will decide whether the F-35 achieves the role originally envisioned for it in revitalizing U.S. air power. If the Air Force scales back its current plan to buy 1,763 F-35s, that will have profoundly negative consequences for other military services, allies and overall U.S. security. The reason why is easy to understand. From its inception, F-35 was conceived as a tri-service program with extensive allied involvement. Participants shared development costs in the expectation that a big production run of planes sharing common features would be more economical than everybody doing their own thing. Those development outlays, which now approach $100 billion, were predicated on the assumption that all the key players were committed to their roles. If the Air Force were to cut its buy or limit its rate, the plane would become less affordable for everyone. Evidence is beginning to accumulate that the Air Force is not as focused on seeing the F-35 succeed as previously thought. For example, it is not ramping up production of its version at the rate that would deliver the greatest economies, and it is warning that if costs to keep the plane flying are not reduced, it may have to shrink its buy by hundreds of planes. The rationales for these moves are shaky at best, based on muddled thinking and outdated information that ignores key features of the F-35 bargain proposition. 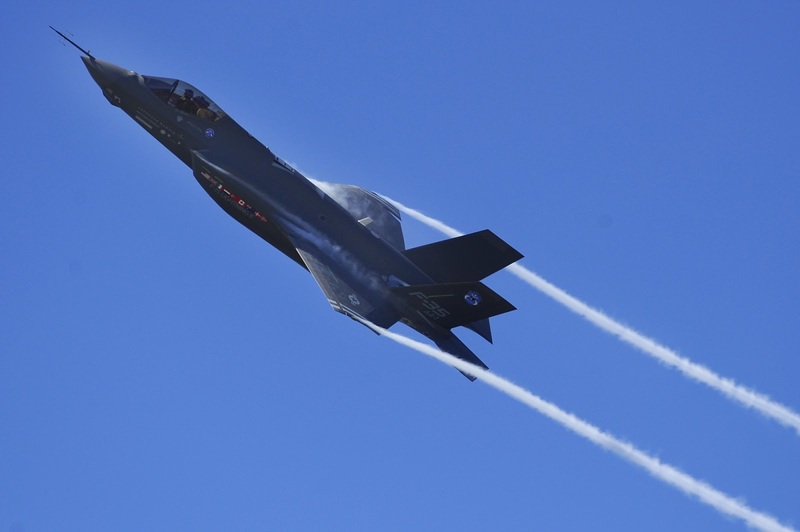 For example, the notion that F-35 is expensive to operate ignores the fact that it will become much less expensive as it matures; ignores the fact that the latest F-35s are already the highest performing aircraft in the Air Force inventory; ignores the fact that the plane is delivering far better reliability than specified by requirements documents; and ignores the fact that its productivity on combat missions will exceed the performance of legacy aircraft by hundreds of percent. That doesn't mean that operating costs can't be reduced faster and deeper than planned, but it does raise the question of why the Air Force is not thinking in more rigorous terms about the plane described in its annual acquisition report as "the centerpiece of our future fighter precision attack capability." I suspect I know the answer to that question, because I saw a similar breakdown of analysis occur in the Army during the last decade. To put it simply, the Air Force has become too enamored with big ideas about the future to think clearly about the present. That's a crazy article but highlights the idiocy of this program. This is suppose to be a fighter that stays in service till 2070, yet Thompson accuses the USAF of thinking about the future and not the present? The reality is stark for the F-35 supporters. What we have flying now is more than good enough for the present and the F-35 is inadquate for the future. Many (including me) have predicted SEVERE cuts in the number of F-35's the USAF will buy. Thompson's tears indicate that we were spot on. This turkey is about to get sliced!